Shrimp Scampi, Giovanni's. 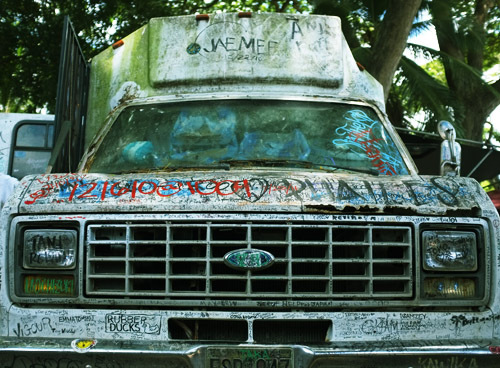 North Shore. 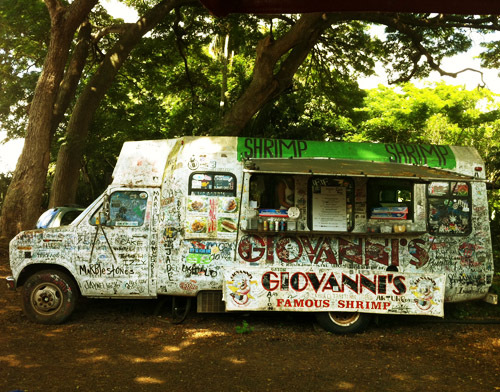 Along the North Shore of Oahu there are many Shrimp caravans but Giovanni's is the original. They have a 'Hot & Spicy' version of the shrimp that only the die hard chilli lover should attempt. On the menu it comes with some fine print....... "Very HOT, No Refunds". This is the sensible option, Plate 1, Butter and Garlic with the lava on the side.